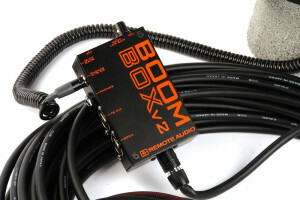 Boom Box v2 Boom operator talkback box. 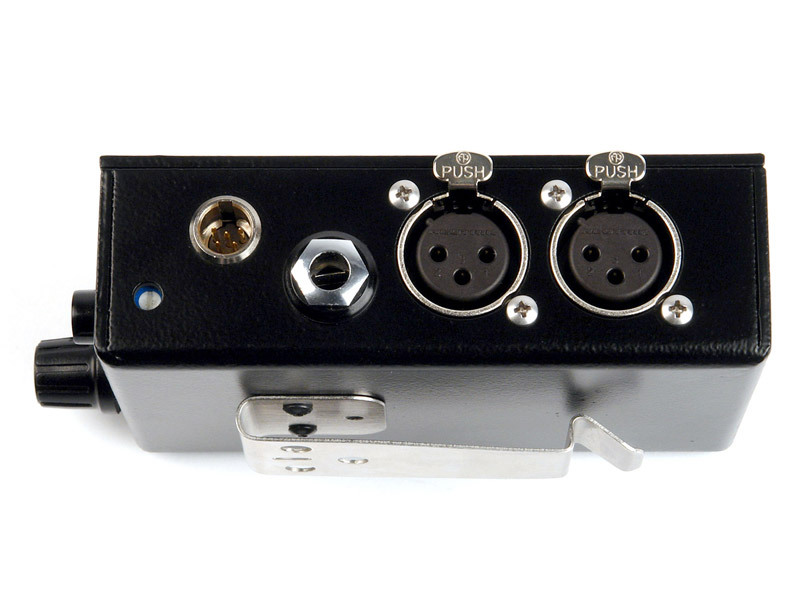 Compatible with most mixers and headsets. Requires talkback headset, extension and mixer fan for full functionality. 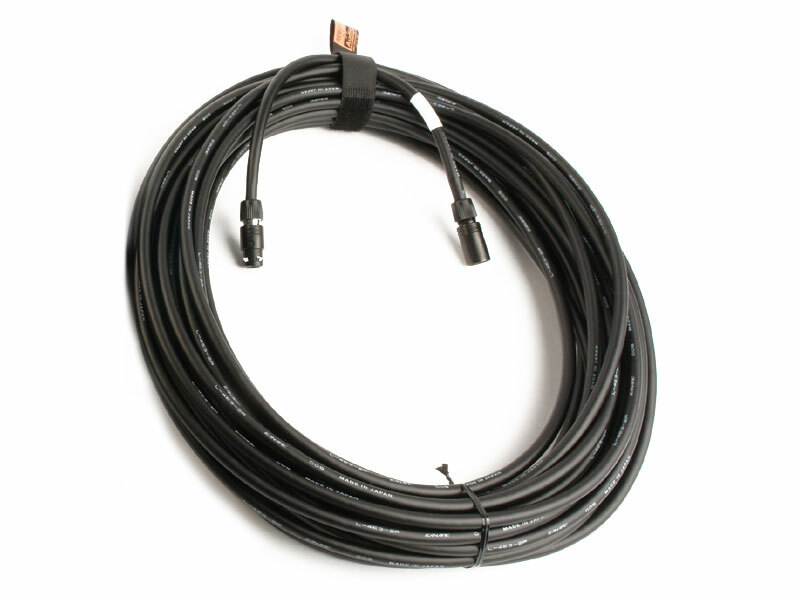 Extension cable for Boom Box and Duplex Box. Constructed with Canare Star Quad cable. 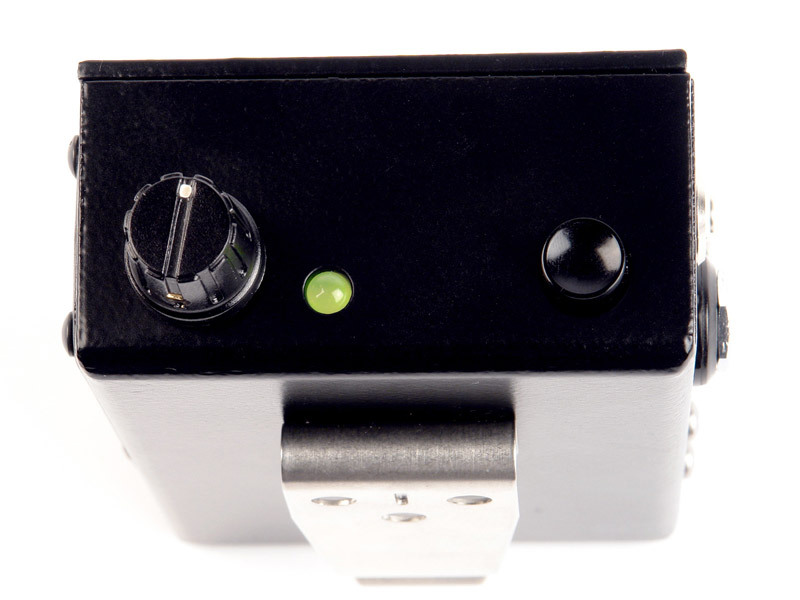 Neutricon M to Neutricon F.
Boom Box v1 mixer fan for various mixers. 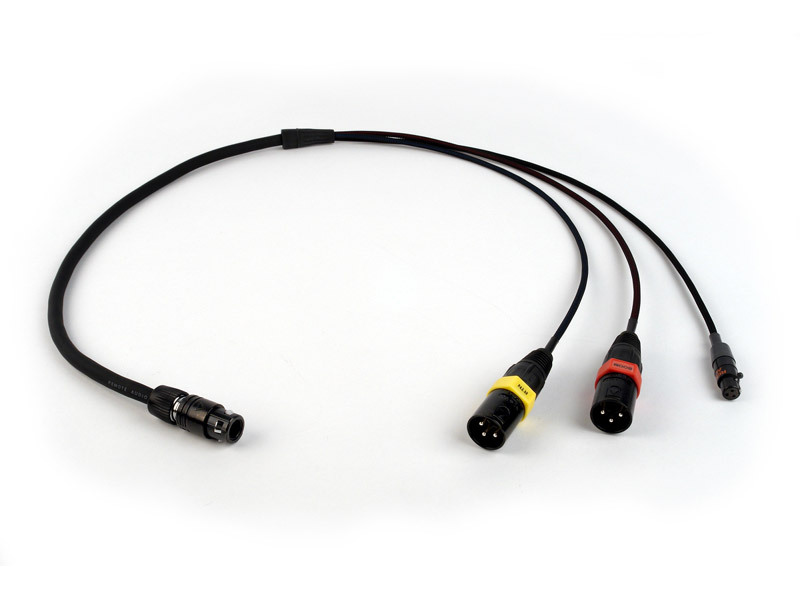 Neutricon F to (2) XLR3M and 1/4 inch TRS plug. 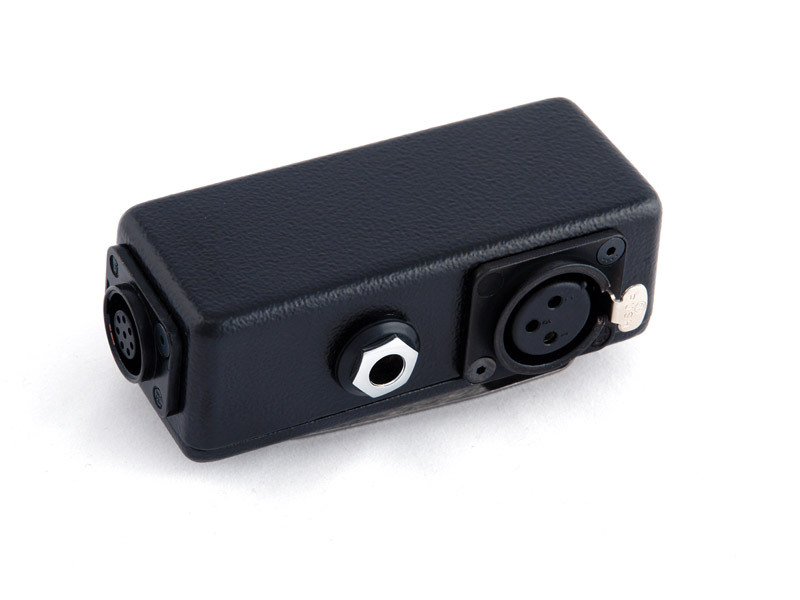 Boom Box v1 mixer fan for Sound Devices 442. 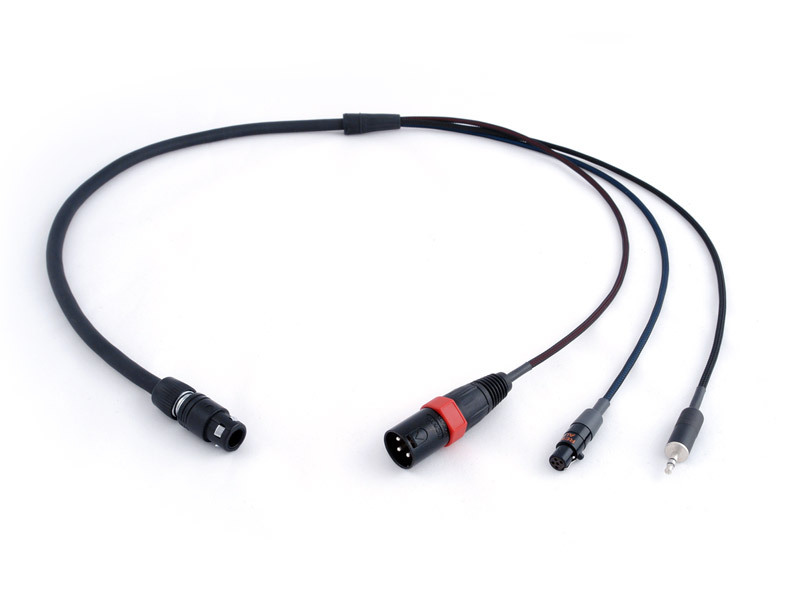 Neutricon F to XLR3M, (2) TA3F and 3.5mm TRS plug. 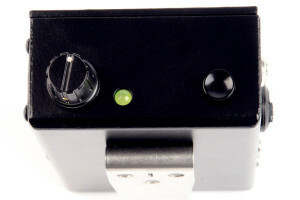 Boom Box v1 mixer fan for Cooper 106. 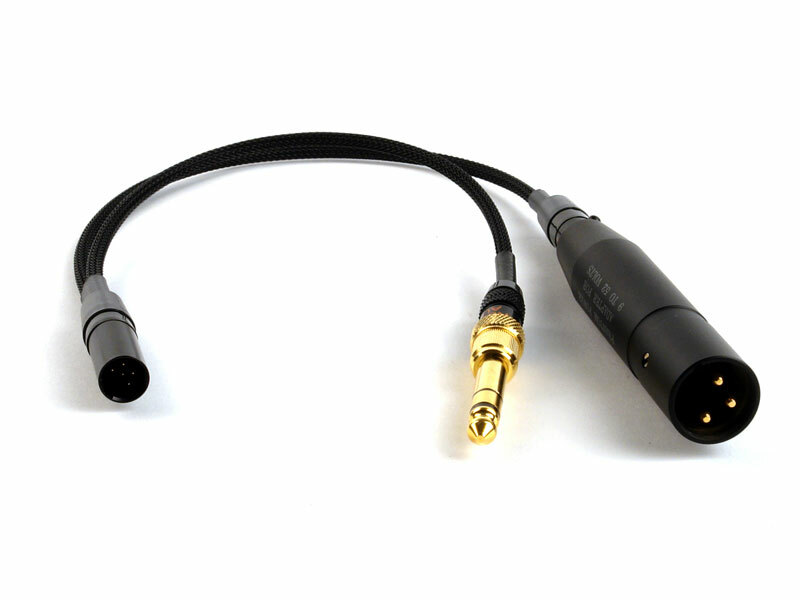 Neutricon F to (2) XLR3M and 1/4 inch TRS plug (wired mono). Boom Box v2 mixer fan for various mixers. 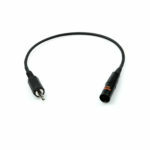 Neutricon M to (2) XLR3M and 1/4 inch TRS plug. 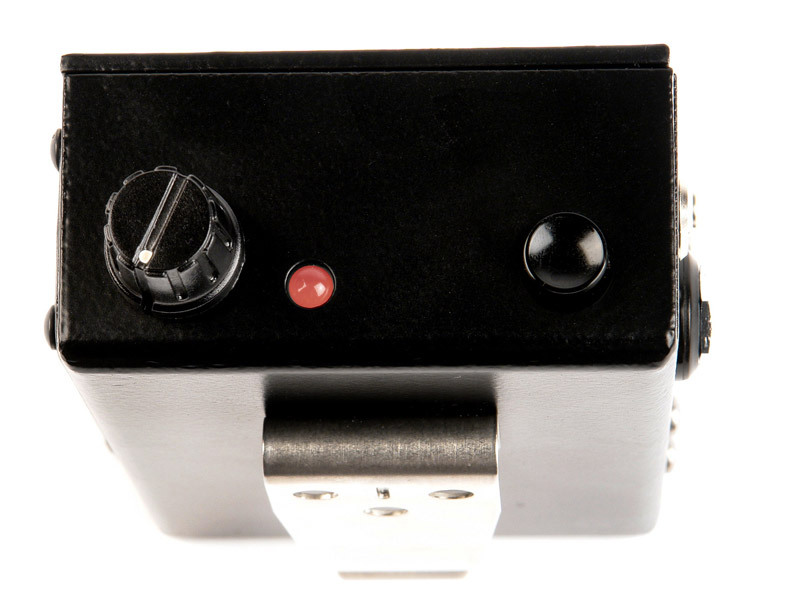 Boom Box v2 mixer fan for Sound Devices 442. 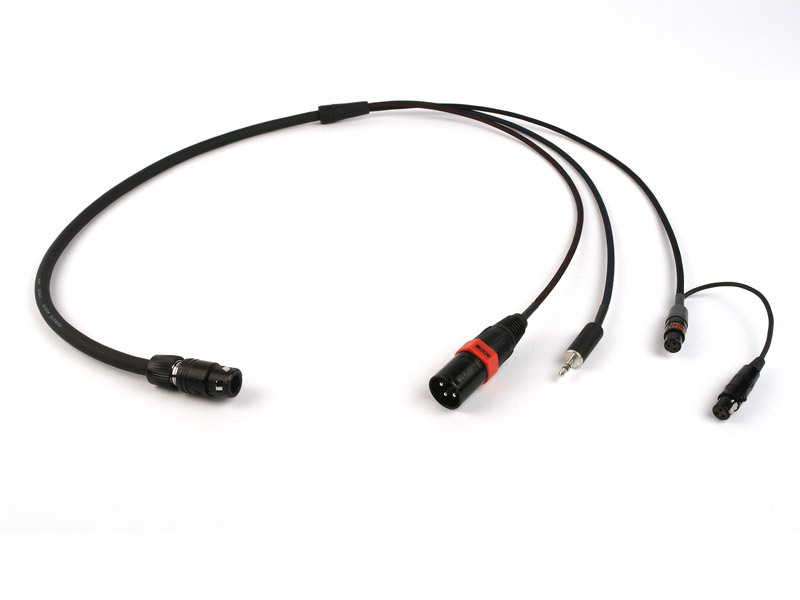 Neutricon M to XLR3M, (2) TA3F and 3.5mm TRS plug. 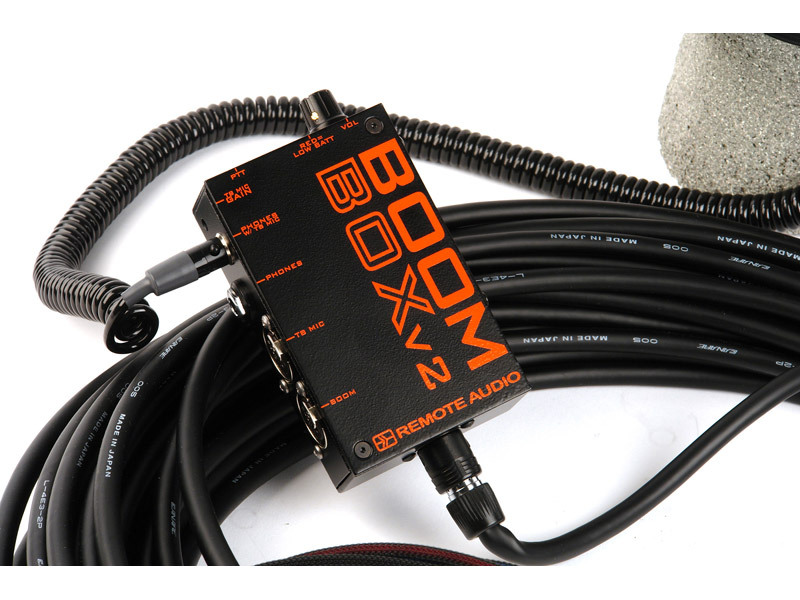 Boom Box v2 mixer fan for Sound Devices 552. 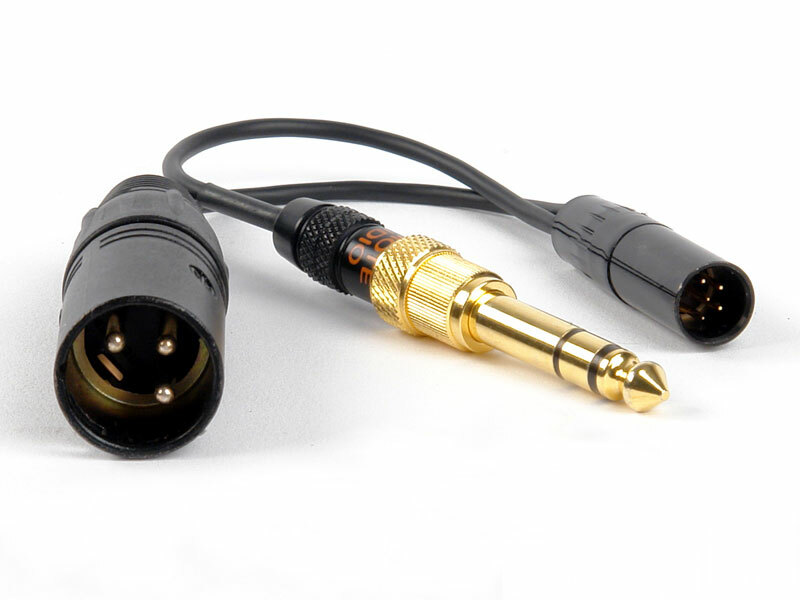 Neutricon M to XLR3M and (2) 3.5mm TRS plugs. 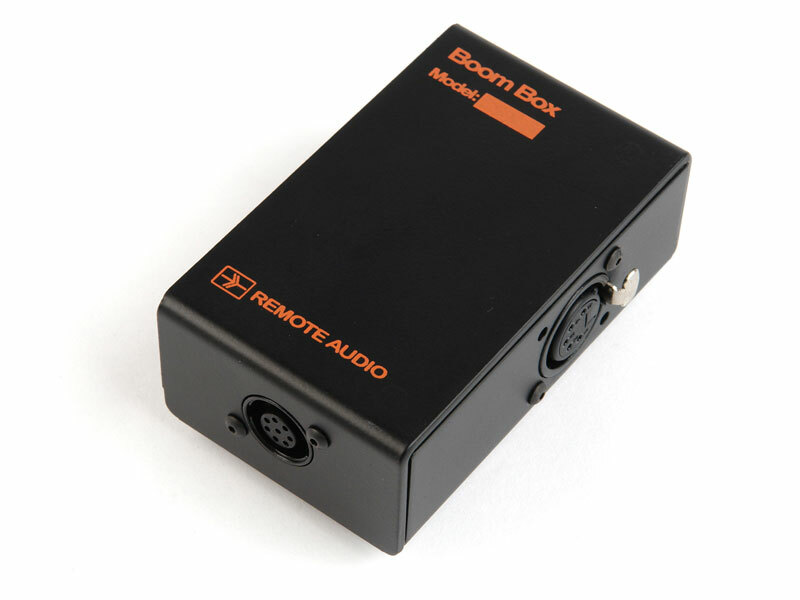 Boom Box v2 mixer fan for Sound Devices 664. 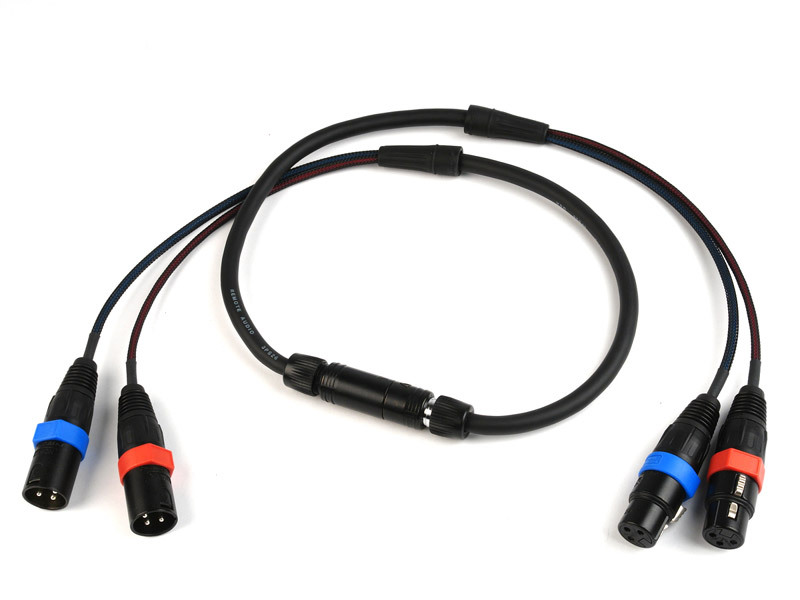 Neutricon M to XLR3M and (2) TA3F. 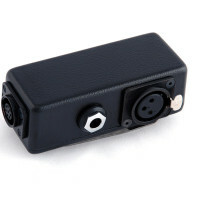 Boom Box v2 mixer fan for Sound Devices CL-9. 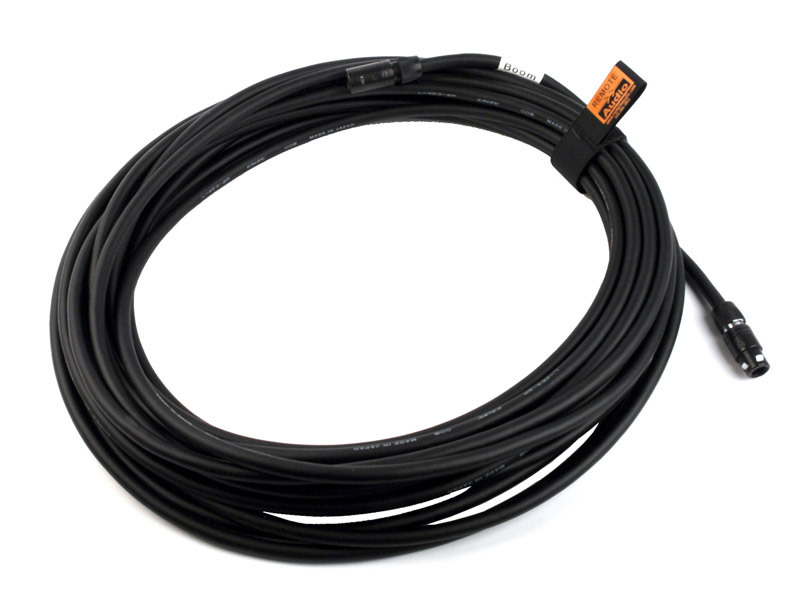 Neutricon M to (2) XLR3M and TA3F. 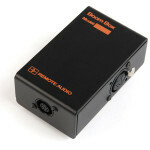 Boom Box v2 mixer fan for Zaxcom Deva. 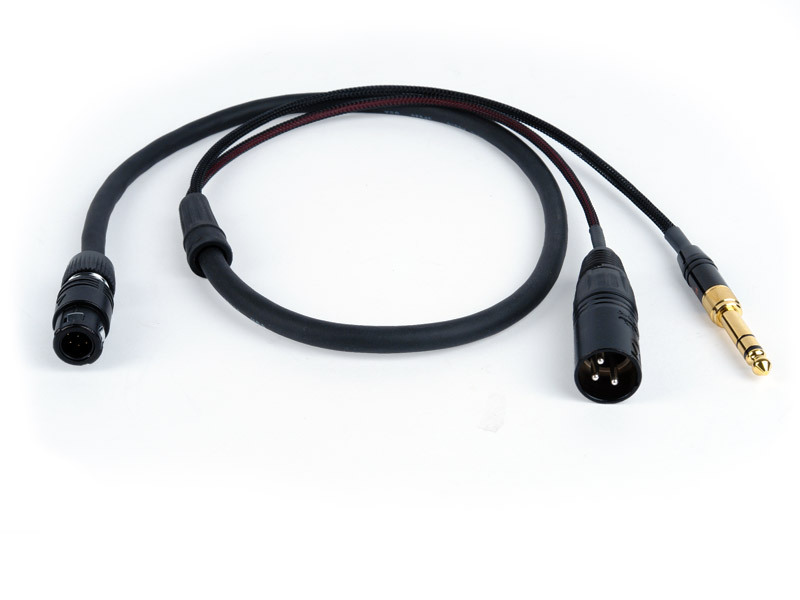 Neutricon M to (2) XLR3M and XLR3F. 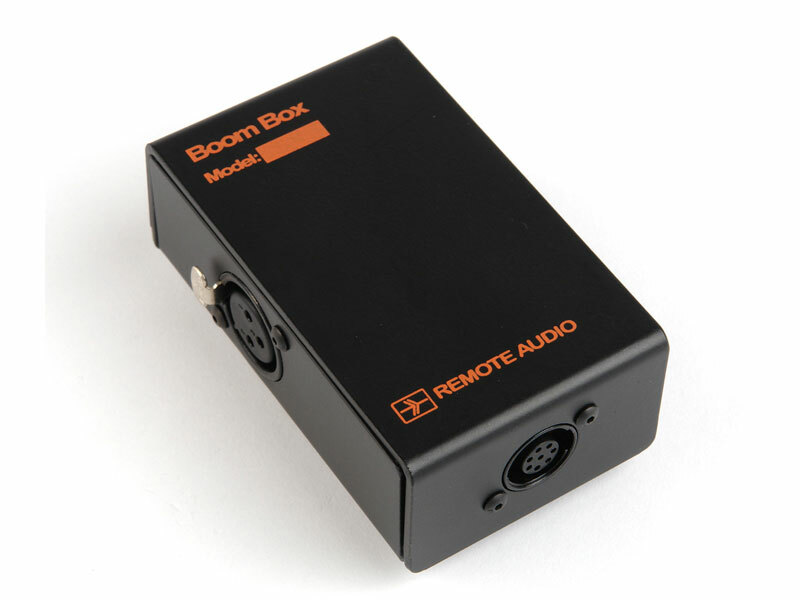 Boom Box v2 mixer fan for Zaxcom Nomad. 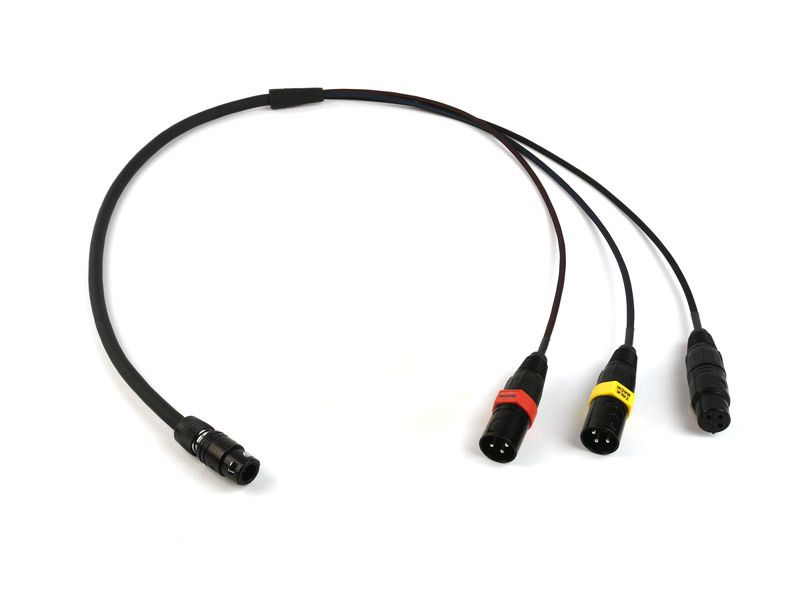 Neutricon M to XLR3M, TA5F and 3.5mm TRS plug. 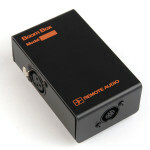 Adapts Boom Box v1 cables for Boom Box v2. 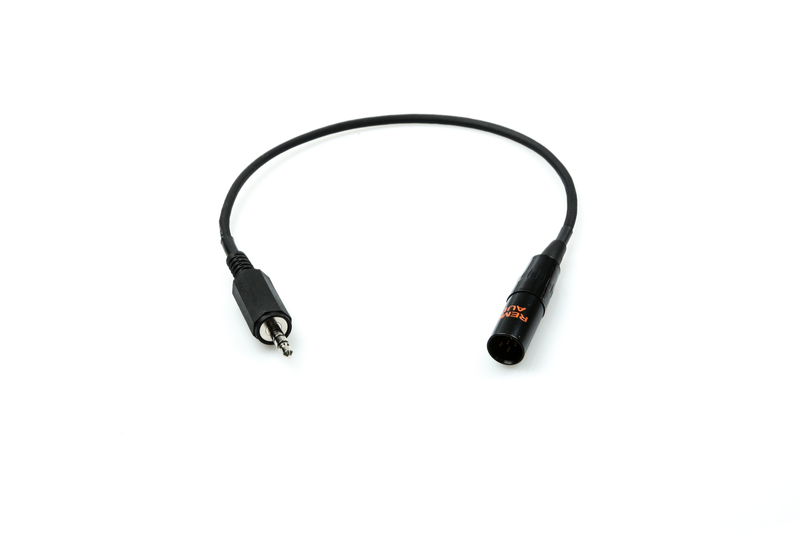 Neutricon M to Neutricon M.
XLR adapter set for Boom Box extension cable. Turns extension into a two pair snake. 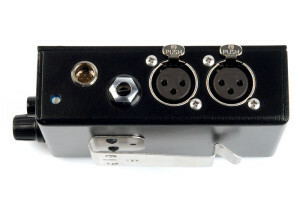 (2) XLR3F to Neutricon F. Neutricon M to (2) XLR3M. 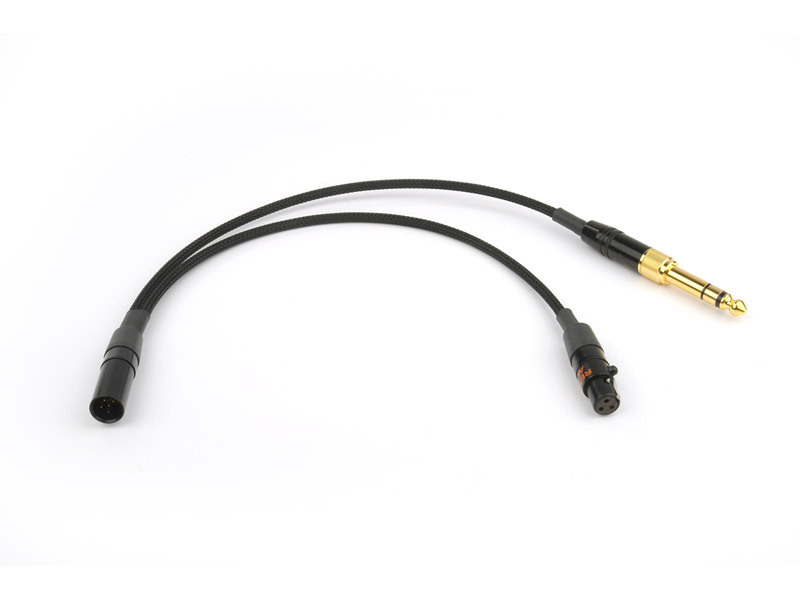 Breakout cable for Remote Audio headsets with dynamic talkback. 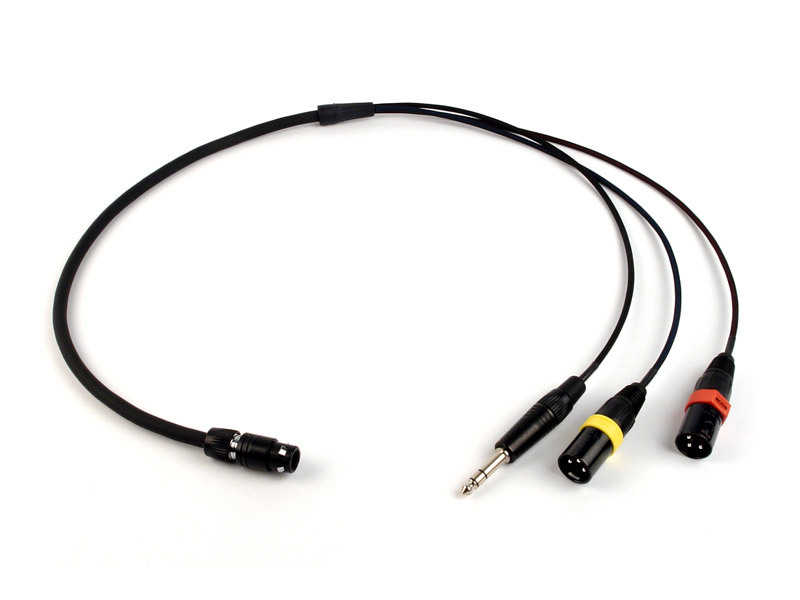 TA5M to 3.5mm TRS unimatch plug and XLR3M. Includes 1/4 inch adapter. 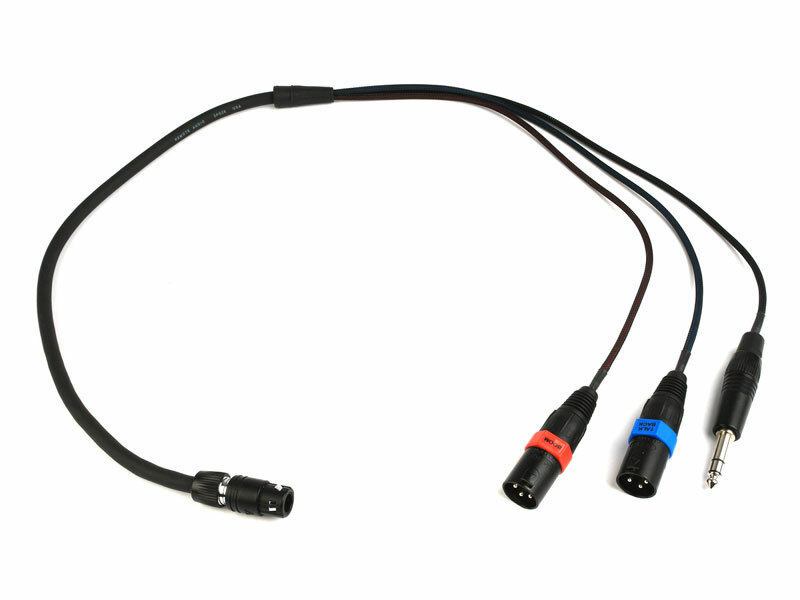 Breakout cable for Remote Audio headsets with electret talkback. 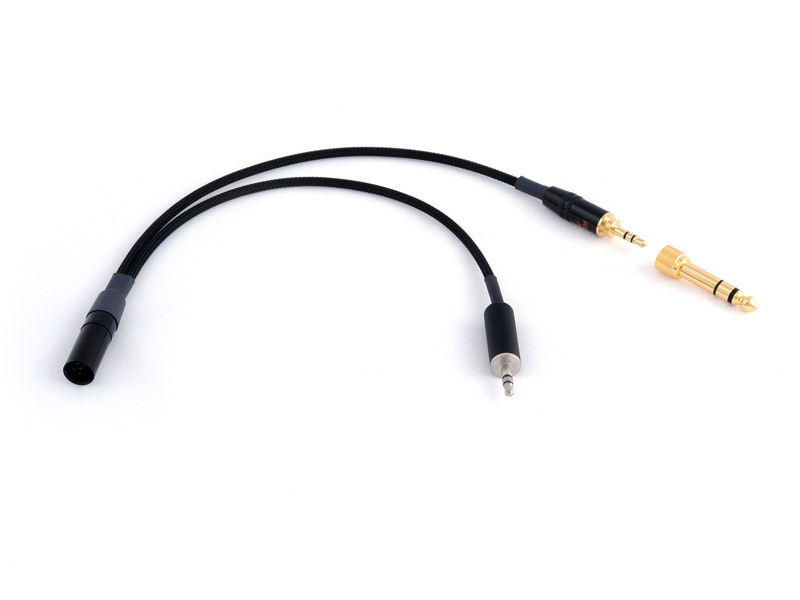 TA5M to 3.5mm TRS unimatch plug and TA5F. 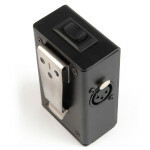 Includes 1/4 inch adapter and power supply. 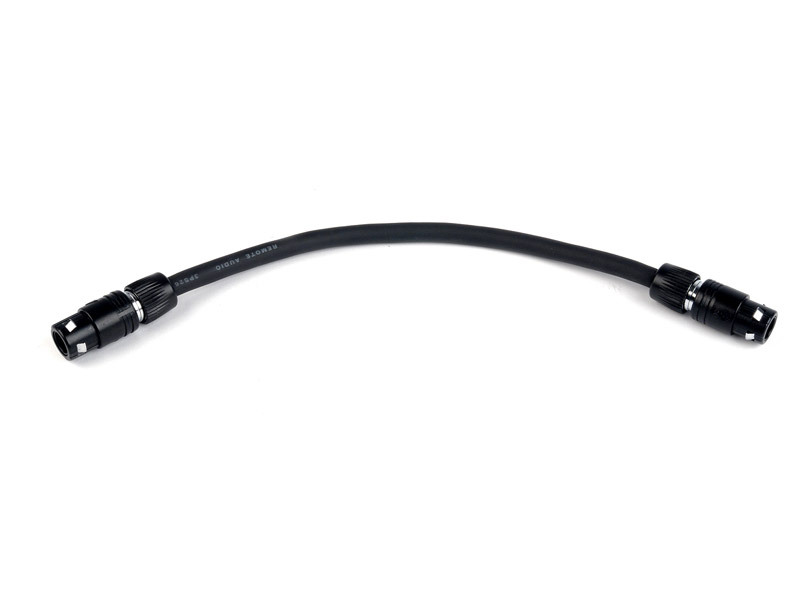 Breakout cable for Remote Audio electret headsets into Lectrosonics transmitters. TA5M to 3.5mm TRS unimatch plug and TA5F. Includes 1/4 inch adapter. 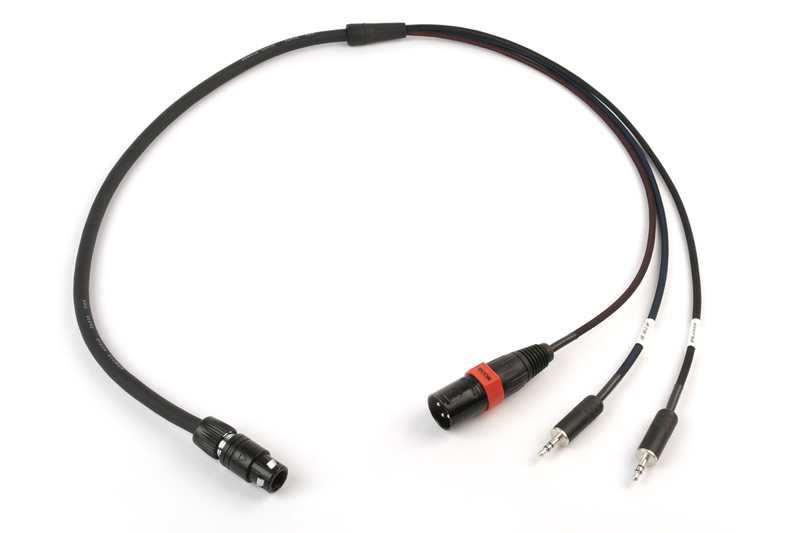 Breakout cable for Remote Audio dynamic talkback headsets into Sound Devices 664. 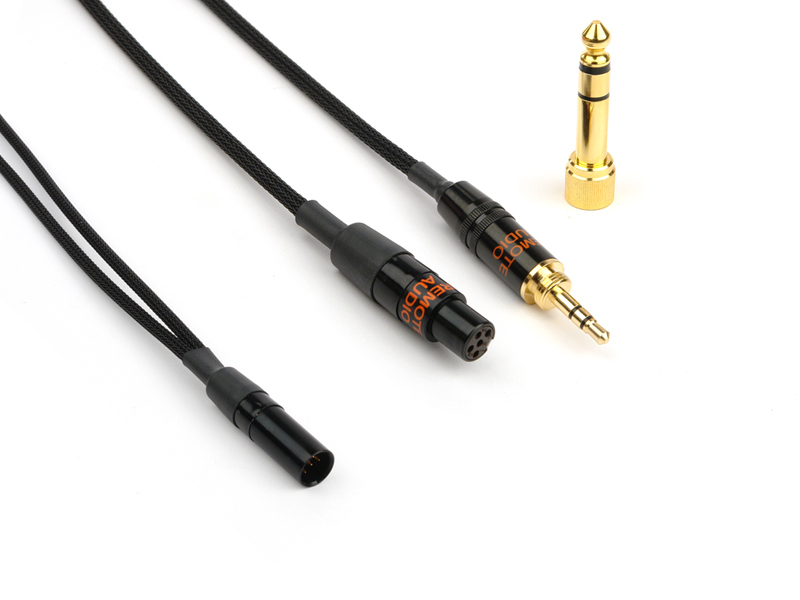 TA5M to 3.5mm TRS unimatch plug and TA3F. 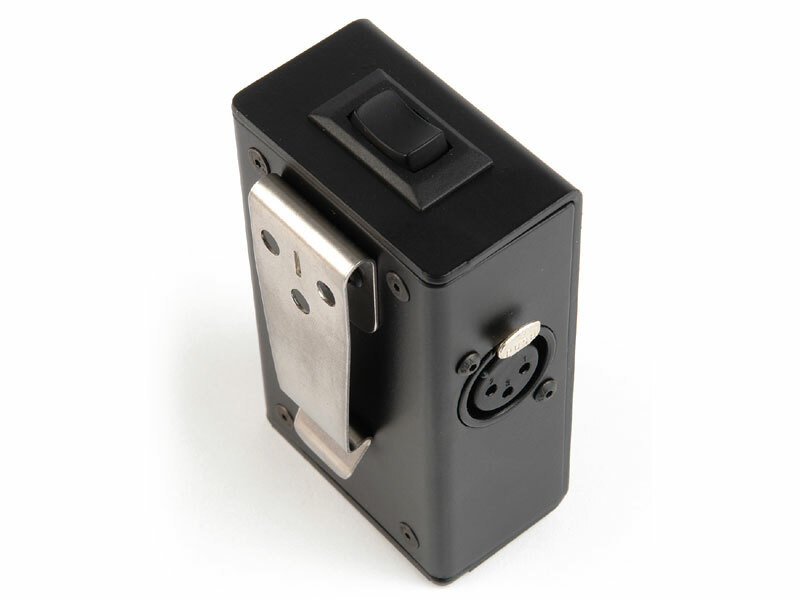 Includes 1/4 inch adapter. 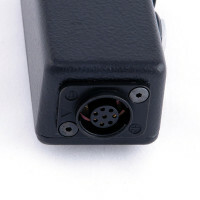 Breakout cable for Remote Audio electret talkback headsets into Zaxcom Nomad. 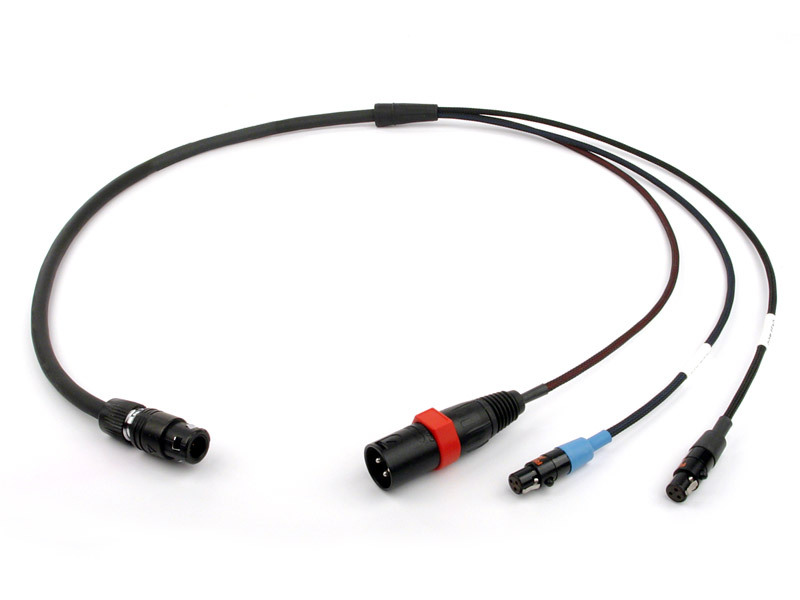 TA5M to 3.5mm TRS unimatch plug and 3.5mm TS plug. 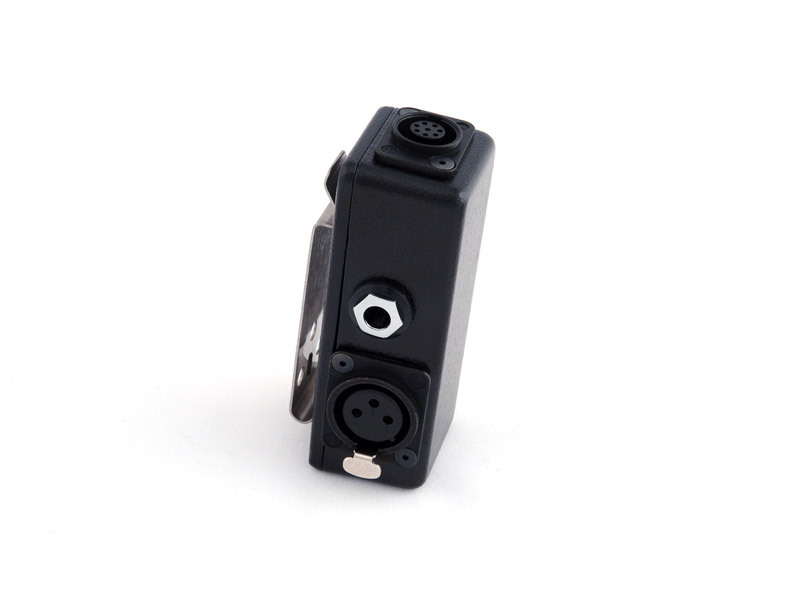 Includes 1/4 inch adapter. 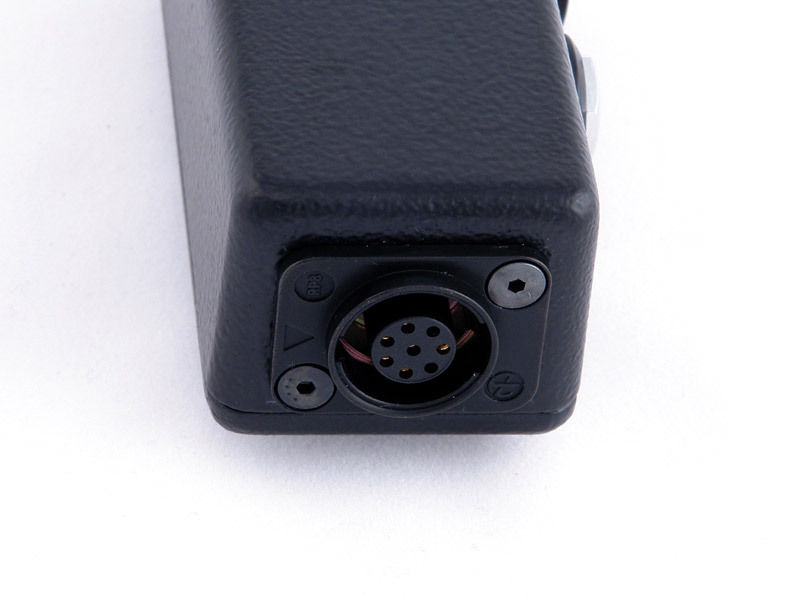 Boom operator talkback box for Sonosax SX-ST and PSC Solice. Sonosax Boom Box mixer fan for Sonosax SX-ST.
3 feet includes 18 inch fan. Passive design is modular and lightweight. Requires extension and mixer fan for full functionality. 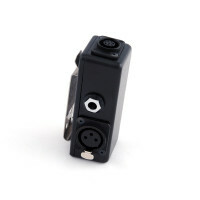 Neutricon M to 1/4 inch TRS plug and XLR3M. 3 feet includes 14 inch fan.